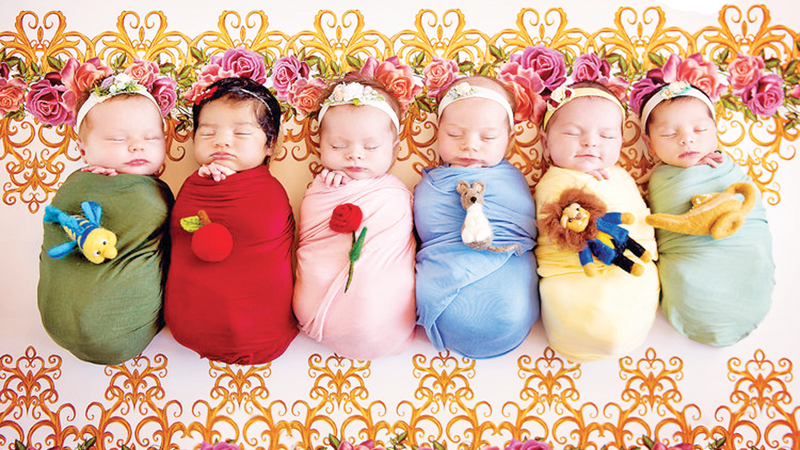 When Karen Marie Taylor photographed six newborn baby girls dressed as Disney princesses in 2017, the California photographer had no idea her whimsical images would be seen by millions. Taylor, who worked as a maternity nurse before becoming a pregnancy and newborn photographer 12 years ago, says she loves all things Disney - the idea to create elaborate backdrops and props and dress newborns up as princesses came from her love of the brand. “We have generations of amazing family memories at Disneyland,” Taylor said. One year later, Taylor reached out to the families of her original princesses, asking to do first birthday shoot - including a smash cake - with her original Ariel, Sleeping Beauty, Snow White, Jasmine, Belle and Cinderella. The second photo shoot shows sweet toddlers with toothy smiles and heads of hair, one year older and as adorable as ever dressed as their respective princesses. “All the parents were so excited to come back and do the cake smash,” said Taylor. Since the viral shoot, Taylor has photographed babies as Princess Leia, Peter Pan characters and more.